Why use a bonded warehouse? Smart use of customs legislation enables you to apply the optimal rates at the right time thus minimalising the import duties. Import duties are only owed when the goods leave the bonded warehouse. This can influence your fluid assets en interest expenses. Which types of bonded warehouses are there? LSPcustoms supports three types of bonded warehousing, type C, D en E. In these types of bonded warehouses goods can only be stored by the manager of the bonded warehouse. However, this does not have to be the owner of the goods, for example in the case of Logistic Service Providers. 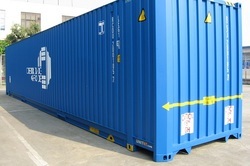 Please contact us to find out which type of bonded warehouse will best suit your needs. When goods are stored in a bonded warehouse you only pay import duties at the moment the goods are placed in free movement. Customs authorities will need assurance that the owed import duties and taxes are paid. A bank guarntee or monlthly credit is therfor required. Read more about the insurance (Dutch link). Would you like additional information? Please contact us! TIP: Does all this information seem a little overwhelming? Contact us for a meeting, no strings attached!